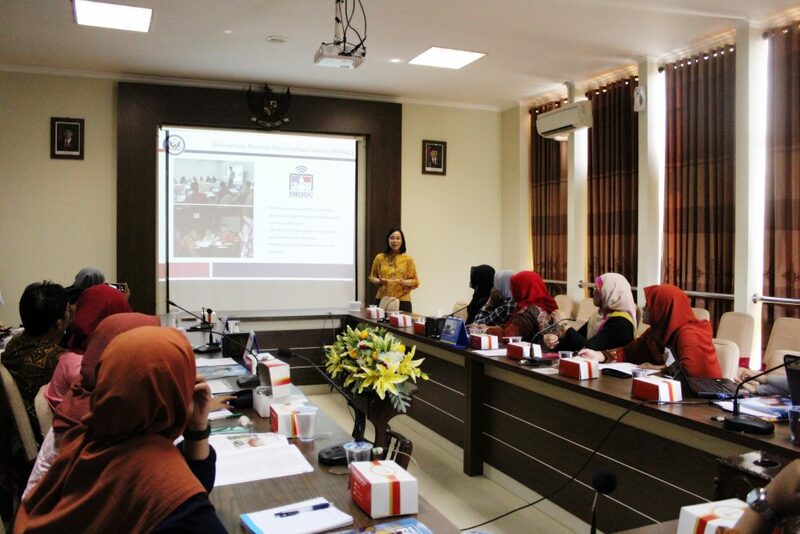 Semarang | The masive advancement and development of digital technology has influenced naerly all aspects of live, including education that cannot be separated from its impacts on higher education institutions. Online learning system soon will become a new face in the area of higher education in this country. Universitas Muhammadiyah Semarang (Unimus). As one of institutions in Indonesia, Unimus has been selected to establish a cooperation with the Regional English Language Office (RELO) at the U.S. Embassy to conduct a digital program named the Indonesian Massive Open Online Course (IMOOC) with a theme “Technology for Autonomous Learning”, located in Room 209, one of meeting rooms at Unimus on April 12, 2018. The event was the initiative of the Faculty of Foreign Language and Culture at Unimus with Ayunda Victoria Siagian from the U.S. Embassy in Jakarta as the keynote speaker. 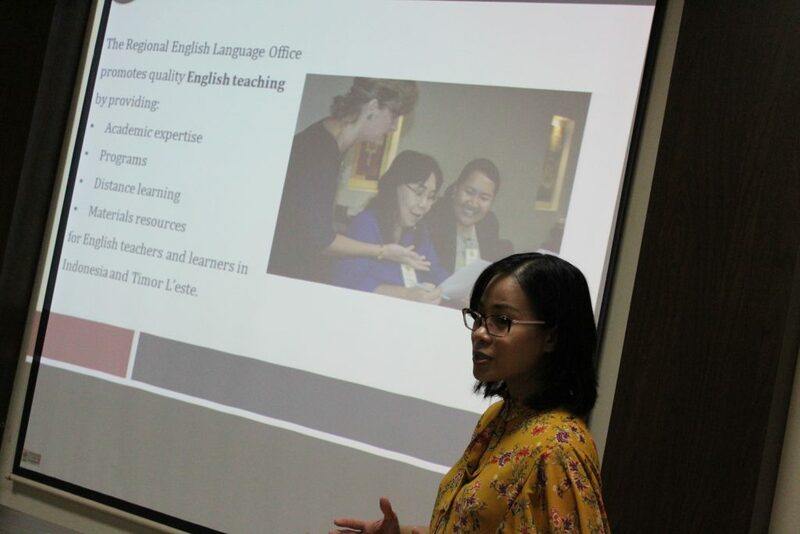 In her brief presentation, she explained that the integrated online course was so related to the making of English language learning media with the latest technology through Canvas, an online learning website. In the near future, this program will be followed-up with autonomous course for 11 weeks using that site. “In IMOOC, a lot of people can participate and attend the online course. Provided its open (online) nature, the participants aren’t limited to certain backgrounds. For sure, they are able to take any course. Thus, for example, a participant with English language background, he/she can choose a theme of science,’’ she said. That event was also attended by Yesika Maya Ocktarani, S.S., M.Hum. (dean of Unimus Faculty of Foreign Language and Culture) who also gave some opening speech. “I hope that by attending the event, the participants can gain knowledge that will become their added value in giving materials that are related to English and the use of today’s technology to the students,’’ she revealed. Themed Technology for Autonomous Learning, IMOOC is an online learning initiated by RELO at the U.S. Embassy that will create E-Teachers. The IMOOC can become a chance for English teachers and teacher candidates to get learning knowledge outside the classroom in terms of the use of digital devices for learning. By practicing, using online devices, and doing autonomous learning, the IMOOC participants is expected to have awareness on becoming autonomous learners. The program is free-of-charge and open for anyone interested in English learning, including teachers and teacher candidates. Learning in the IMOOC in online by nature so the participants can do learning anywhere and anytime. The participants will get e-modules and also certificate at the end of the program.